Are you ready for an update on the master bedroom? I can’t believe how long it’s been since I shared the first post on our big master bedroom renovation. But I finally have some updates! Are you ready to talk flooring with me today? 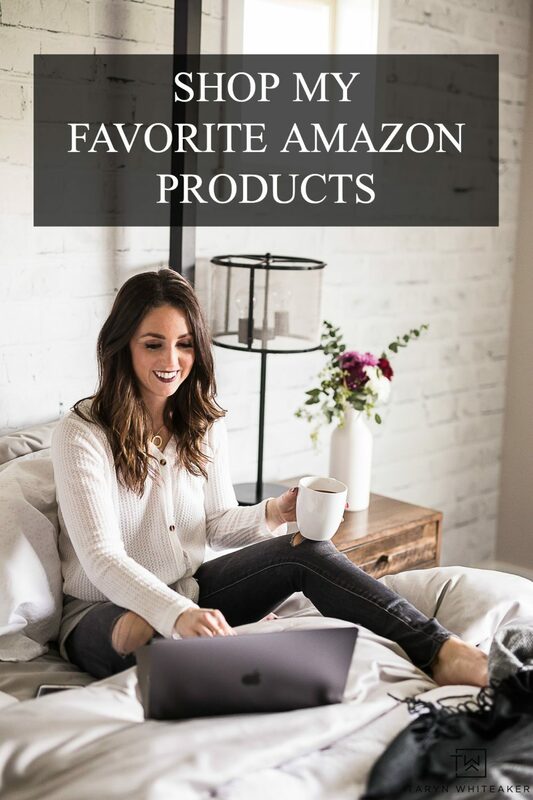 I’m working with Lumber Liquidators on this project and I have been really impressed with all of their different flooring options at reasonable prices. 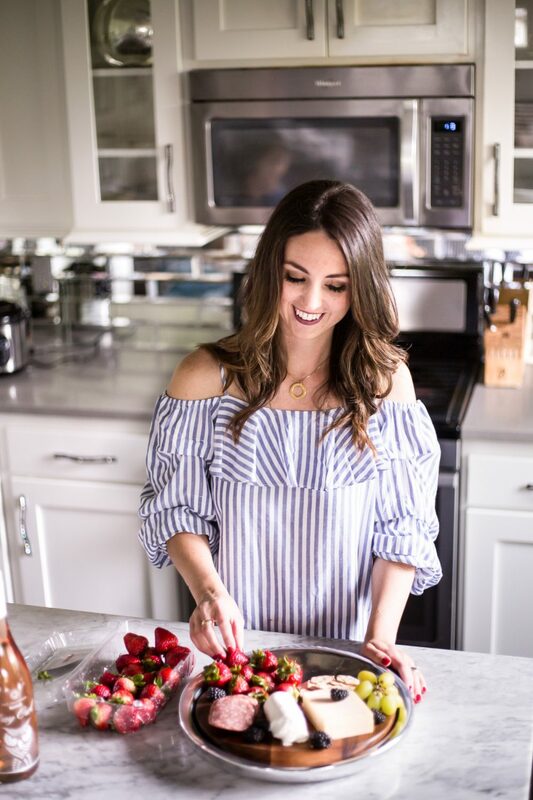 If you follow me on Instagram you may have caught a few glimpses of my flooring options on InstaStories, but I wanted to lay them all out here and chit chat with you about what went into my decision. So let’s get down to the nitty gritty. Here is the current state of the room. 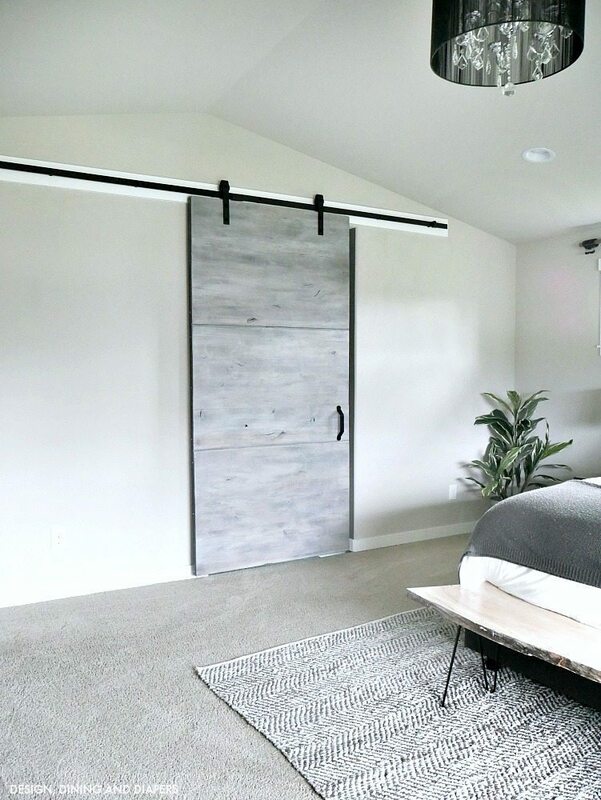 We just hung the barn door a few months ago and the wall color is staying, so these are the main things I have to work around. 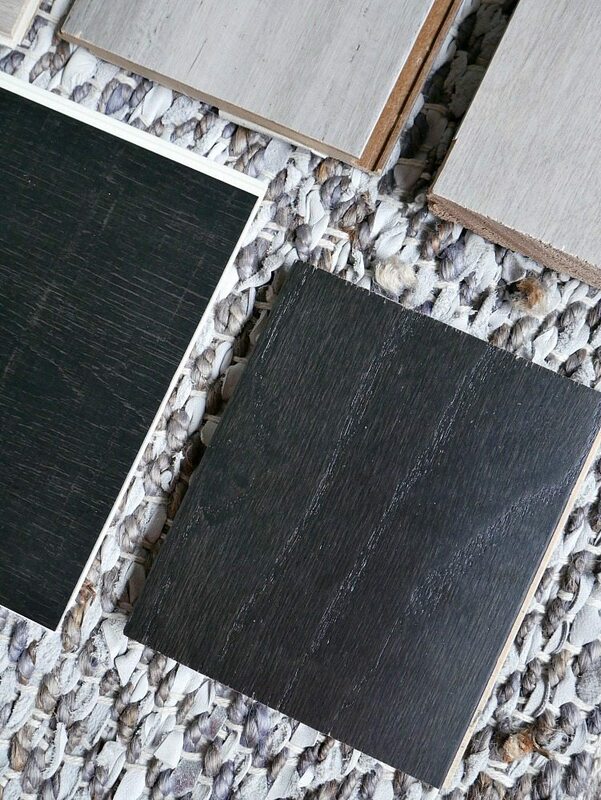 Based on these two factors, I have two different directions I could go with the shade of the floors: either use a gray tone that matched the door perfectly, or go with black to create a big contrast. So here are alllll the samples I ordered. What can I say? I want to make sure I pick the perfect one! I have had my heart set on hardwoods, but I ordered a few vinyl options just to see if I liked the color better. At the end of the day, I have seen some pretty amazing vinyl floors so I wasn’t against them at all, it all came down to color and texture for me. I knew right away that the light gray options were not going to work. They are a much warmer gray in person and don’t have the cool tone I was looking for. 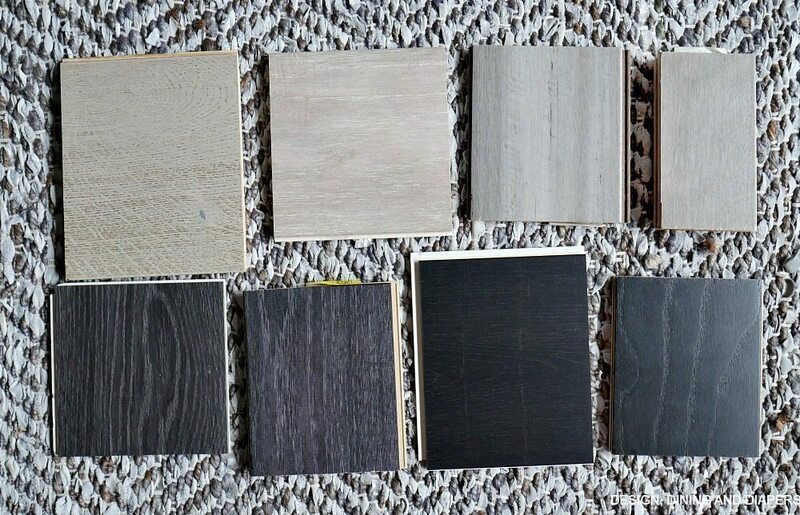 The only option that had the right gray tone is the second from the right, that is a beautiful gray color hardwood if you are looking for one. It just clashed a little too much with our barn door. SO. That leaves me to the darker options. We have super dark hardwoods down stairs, but they are more of a dark espresso. I want the floors in our master bedroom to be black, or very close to it. I want to stay away from using any brown tones in the flooring. It goes better with the design I have in mind! Soo, here is our final pick…. We went with a pre-egineered hardwood, in Black Forest Oak . I wanted dark floors and my husband wanted a distressed texture to the floors, so this is what we decided on! I picked up the flooring this week and it should be getting installed next week. I’m SO excited. This is going to be a huge transformation for this space. Be sure to follow on IG, I’ll be sharing a lot of InstaStories of the process. Thanks Lumber Liquidators for being so great to work with on this project, it’s going to be so pretty! Just looking at the samples you provided I would have chosen the Black Forest Oak too. Great choice!! Can’t wait to see what you do in the room!